Curiosity is the one thing all library users have in common. We use the library for many different reasons, to learn something new, discover our next favorite read or answer 100 questions at trivia nights. It’s a good thing to stay curious. 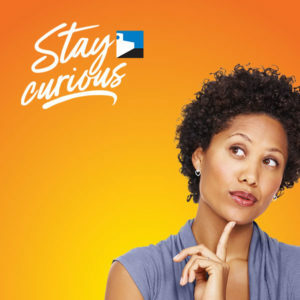 Curiosity is critical to learning and encourages us to explore and discover. (Ever wonder why the sky is blue?) That is why libraries feel like home to the curious who read about countries they dream of visiting or those who check out a cookbook to try new eats. Curious kids do better in school and adults who are independent learners are more engaged workers when it comes to learning new skills. The library is helping create a community culture of literacy and learning ignited by an endless supply of curiosity. 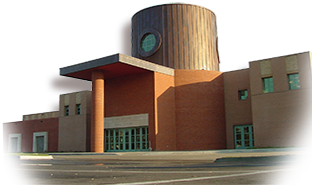 Being recognized as an iconic library is gratifying, but sparking curiosity within people is what we are all about. We’ve updated our mission, community impact goals and core values incorporating these ideas. Sparking curiosity and connecting our community through literacy and learning. Posted in Library News and tagged community impact goals, core values, curiosity, mission, Stay curious.